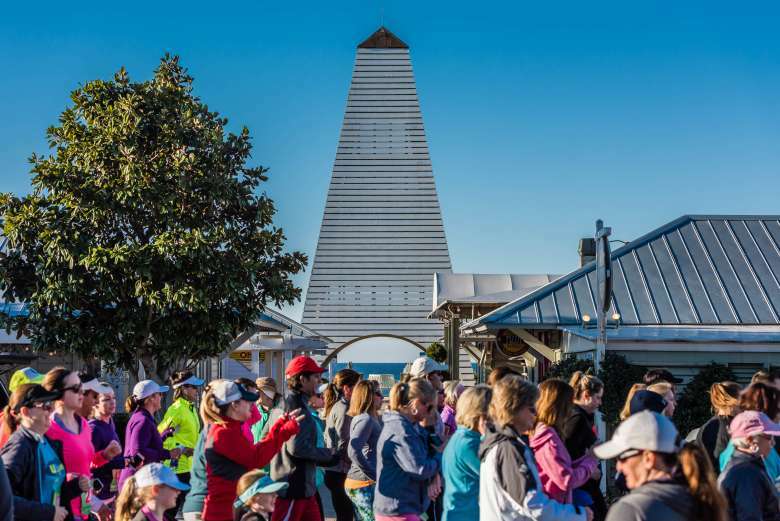 Scheduled for March 1-3, 2019, the Seaside School Half Marathon, 5K and Taste of the Race (with Chef Emeril Lagasse) is a 3-day event featuring amazing coastal cuisine, local exhibits, and races starting and finishing in the iconic neighborhood of Seaside, FL. Whether you are a serious distance runner or a casual weekend runner, the 17th Annual Seaside Half Marathon & 5K is for you! The course takes runners on an out-and-back straightaway course running parallel to the Gulf of Mexico and through several beach towns along Scenic Hwy 30A. Race weekend offers three days of exciting events. Taste of the Race with Chef Emeril Lagasse kicks of the weekend on Friday evening under the tent at the Seaside Lyceum. Saturday’s race Expo and Silent Auction is one big party with vendors, food, and live entertainment all afternoon. Sunday is Race day followed by a post race party with live music! 100% of the race profits benefit the Seaside School, a tuition-free, local neighborhood school serving 5th-8th grade students who not only live along Highway 30A, but also across Walton County. Your support helps reduce class size, and provides students an opportunity for creative, elective classes like gardening, music, arts, as well an award winning robotics program, advanced placement classes, and career- readiness industry certification courses. The Seaside Neighborhood School and our surrounding community was spared from any major damage as a result of Hurricane Michael. However, 2 neighboring charter schools to the east suffered significant damage from the storm. With this in mind, the Seaside School Half Marathon & 5K will also be raising funds to benefit these Bay County schools. When you register for the Seaside School Half Marathon & 5K, $1 from each registration will be allocated to support University Academy and Chautauqua Learn & Serve Charter School in their recovery efforts. If you are unable to participate in the Race, but still want to make an impact, you can do that by clicking here and making an online donation.